Have Questions Regarding The Tomatis® Method? 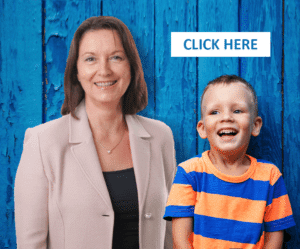 Please click any of these frequently asked questions (FAQ’s) below to find your answers or, if you can’t find what you are looking for, please contact us. We’d love to hear from you. 1) What are the most obvious results of the Tomatis® Method with respect of the children? 2) How soon do the results of the Tomatis® Method become noticeable? 3) Are the gains made during a Tomatis® program lasting? 4) At what age does the Tomatis® Method produce the best results? 5) Can the Tomatis® Method be dangerous? 6) How are the results evaluated? 7) How long does the average Tomatis® program last? 8) Why is the mother's presence indispensable for young children? 9) Why is the father's presence desirable? 10) What is the relationship between the Tomatis® Method and the different programs or sound therapies with CDs, Ipod®, or bluetooth that make reference to it? 11) What does one do during the listening sessions? and why? 12) Can the Tomatis® Method be combined with other therapies? 13) Why are the listening sessions done in an intensive manner? 15) Why use the music of Mozart? 16) Why use filtered music? 17) Why use the mother's voice? 18) Will the Tomatis® Method help in the case of hearing loss? The observable results of the Tomatis® Method must be analysed on two levels, one rather observable and the other deep-rooted. On the superficial level, many apparent results can be perceived rather quickly within a few weeks or even a few days following the onset of listening sessions with the TalksUp® device. Sometimes the changes are only noticeable during the break between blocks of listening. At a deeper level, it must be understood that the restructuring brought about by the TalksUp® device allows the individual to recover his or her own inner balance and, thus, to modify, in the best sense of the term, his/her own value system; this in-depth development is less spectacular and takes place at a slower pace.  One of the important points, then, is to recognize that these improvements are not only going to be maintained over time but also will continue well after the end of a Tomatis® listening program. A well-conducted listening training program with TalksUp® will produce results lasting several years, the individual having been repositioned in a state of evolving normalcy that only a major new event would be able to counteract. In such a case, a simple short booster program in a Tomatis® Center is often all that is necessary to reestablish equilibrium and restart continuing improvement. Yes, progress made during a Tomatis® program lasts. This is because the gains made are not due to a conditioning but rather to a restoration of balance. Indeed, even though the reasons for seeking help from the Tomatis® Method are many and varied, all are related to a malfunction and thus to a mild to a severe state of neurophysiological disequilibrium. Ear training with TalksUp® device will, therefore, tend to lead the individual back toward a state of equilibrium, which, because it is a normal state, requires much less effort than a mild to a severe state of dysfunction. We can state, then, that, in the vast majority of cases, not only are gains made by the individual during the program maintained but also that progress may continue once the developmental process has been restored to its normal state. Even though the Tomatis® Method is effective in many circumstances, there are certain conditions that may facilitate or impede the improvement that it produces. Thus, depending upon the nature of the problem, youth may be a facilitating factor; this is particularly the case when the problem is situated at the language level or the psychomotor level, or when it relates to scholastic performance. On the other hand, in the case of older individuals (adolescents and adults), personal motivation can often help overcome the difficulty associated with longstanding problems. In fact, there is no real age limit with respect to improvements that may be attained by using the Tomatis® Method; experience shows that, in the vast majority of cases, good results can be achieved by individuals of all ages, whether children, adolescents, adults or the elderly. No, because the Tomatis® Method is not a treatment in the medical sense of the term. Even though it is used by specialists in the domains of medicine and related fields (paramedical), psychology, pedagogy, sports, and the arts, it is never used as a substitute for techniques specific to their area of expertise but rather as a complement, when appropriate, to reinforce the effectiveness of their own techniques. In fact, the Tomatis® Method simply fosters, in a gentle manner, a return to normality, without ever producing a state of trauma or disequilibrium. The individual recovers his/her own normal state, which has the twofold advantage of soothing him/her and of allowing him/her to maintain, without further effort, the improvement made during the Tomatis® listening training with the Electronic Ear®. The client undergoes a Tomatis® listening check, followed by a discussion with a Tomatis® consultant, at the beginning of the program, during the course of the program (about every 15 hours on the average), and at the end of the program. The discussion allows the consultant to collect information and impressions from the client, or from the parents in the case of a child, and to explain what is happening according to the analysis of the listening check and the reported experiences of the client (or parents). The listening check can, in certain cases, be complemented by other batteries of tests; however, when used alone, it can provide precise and objective information concerning functions of the ear such as the analysis of sounds, auditory laterality, the localization of sound in space, and adaptability to the surrounding sonic environment. The length of a Tomatis® listening program varies according to the difficulty to be addressed. That said, the listening program with the TalksUp® should be of limited duration, if possible, the goal of the program always be to enable the individual to progress as quickly as possible to a state of optimal self-reliance. For example, the number of program blocks in a Tomatis® Centre rarely exceeds three or four, the first block consisting of two hours per day for 15 days and the following two or three consisting of two hours per day for 8 days. Each block is followed by a period of integration during which the individual does not do any listening training. Thus, generally, there is a space of three to four weeks between the first and second block, a space of six to eight weeks between the second and third, and ten to twelve weeks between the third and, if necessary, a fourth block. The Tomatis® Method enables an individual to relive progressively the various stages of his or her development with respect to listening and language, both of which are very heavily involved in the process of communication. This development is initiated well before birth and derives both from physiological aptitudes which mature during the intrauterine experience and from an unconscious desire to enter, or not to enter, into communication. This desire to communicate is influenced by external factors, the most important of which is the quality of the relationship that is established progressively between mother and child during pregnancy. Whatever the quality of this relationship, the mother’s voice, perceived by the child during the nine months of pregnancy, represents a constant presence and therefore engenders a special, and reassuringly stable, link between mother and the unborn child. It is for this reason that the mother’s recorded voice, modified in a laboratory so that it is like the voice perceived auditorily in utero, is often used during a program to rekindle the desire to communicate. In most cases, listening to the mother’s voice is a positive experience for the child and accelerates progress, provided that the mother accompanies the child every step of the way. In fact, listening sessions with the Electronic Ear will bring about changes in the child’s behavior, notably a more or less pronounced phase of regression, which must be not only consciously accepted by the mother but also experienced by her. It is for this reason that, within the framework of the Tomatis® Method, the accompaniment of the child by the mother or parents is considered indispensable, if it occurs under good conditions. During the child’s listening program, the mother/parents will also have listening sessions with the Electronic Ear. These will not only help them to relax but will also help them and the child accept the behavioural changes brought about by the listening program. NB: The mother’s voice program can only be delivered by Tomatis® Consultant who has reached the level 4 Tomatis® training. 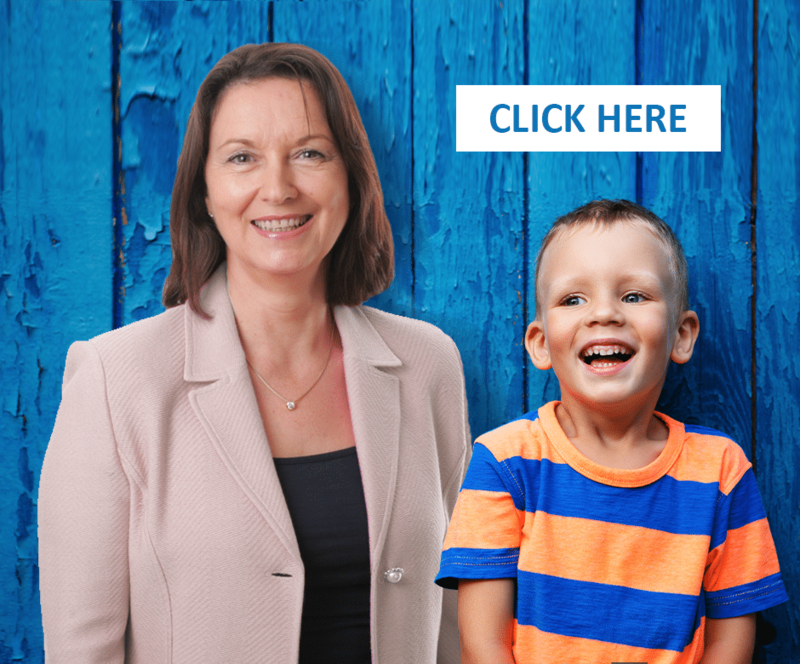 The desire to communicate on the part of the child is brought about, even ‘authorized’, by the mother; even so, the reassuring image that she represents, while it may serve as a basis for the elaboration of language, does not provide the keys that will make language a tool of social communication. The relationship with the mother gives the child the confidence, the strength, and the desire to move toward the outside world, and thus toward the father. For the child’s socialisation to progress normally, various conditions must be present: the mother must be willing to ‘push’ the child toward the outside world, and the father must agree to, or be ready to, ‘receive’ the child. It is for this reason that, within the framework of the Tomatis® Method, the father’s presence is altogether desirable once the child has reached a certain stage. If the father has also been able to have listening sessions, he will be better able to understand, and to prepare himself for, his role in this process. 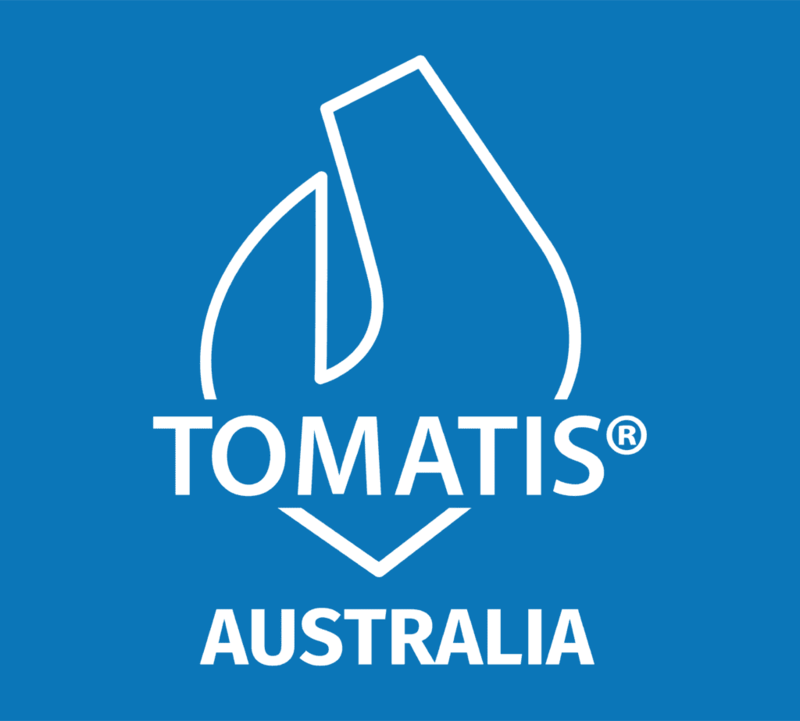 Numerous references to the Tomatis® Method are made throughout the world because its fame reassures the buyer. Unfortunately, the products that are sold often have only the remotest relationship with the work of Alfred Tomatis. The CDs or derivative programs that refer to Tomatis® are often nothing more than compilations of musical works, more or less well put together, which are unable to produce the effects of the Tomatis® Method since the listener cannot benefit from the functioning of the Tomatis® Effect Electronic Ear. The Electronic Ear has very specific operational features, including a Gating® system and sound conduction through both air and bone, which have an impact on listening attentiveness, on auditory laterality, on the localization of sound in space, on latency time, on sound discrimination and, finally, on the audio-vocal loop. Auditory stimulation mediated by the Electronic Ear acts upon the archaic brain (reflexive functions) and not on the analytical zone (language functions). 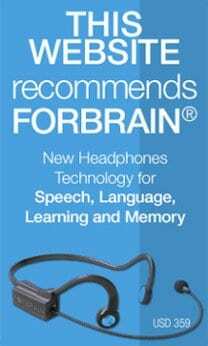 Since both brain hemispheres are involved in ear training, it is necessary to avoid stimulating the zones in a unilateral fashion. That is why, during the listening sessions, reading and writing are not recommended whereas drawing, working puzzles, sleeping, even working mathematical problems are recommended. The latter activities give priority to emotional and non-linguistic associations. However, a non-screen policy is recommended as well as no chewing as it involves the cranial nerves (V and VII) which are linked to the muscles in the middle ear that are stimulated by the Tomatis® listening program. finally, it may happen that the Tomatis® professional spots a problem that should obviously be addressed by a different therapy, in which case, from the time that the problem is identified, he/she will advise the client to consult another therapist, whether the problem is spotted during the listening program of a listening program or before any training with the TalksUp® has taken place. In fact, in such cases, the Tomatis® Method acts as a technique that facilitates the effectiveness of other therapies. This being the case, there is neither incompatibility nor competition with other therapies but rather support by effectively accelerating their progress. Numerous professionals are aware of this and choose to work either in conjunction with Tomatis® specialists or to take the training necessary to be able to apply the method themselves and, thus, to increase the effectiveness of their own professional tools. For the brain’s mode of perception to change, it must receive information repeated frequently at a sustained rhythm during a restricted time. This exercise, like any other, whether mental or physical in nature, brings about a true de-conditioning that allows the brain and the body to discover that it can operate differently, and that, henceforth, a choice is possible. The norm is to do 1-2 hours of daily listening during an initial block of 13-15 days depending on the age and sensitivity of the individual. Afterwards, the listening sessions –limited in any case because the Tomatis® Method discourages a state of dependency– rarely continue for more than 10-12 days and are spaced over several weeks. Just as the brain needs intensive and repeated stimulation for change to take place, it also needs periods of non-stimulation in order to structure and integrate the change. This principle holds true for all kinds of training, integration taking place during a phase of apparent passivity after the effort has terminated. It is, in fact, a phase of assimilation. Stimulation represents a disturbance of our organism; we must thus allow it resting time during which assimilation can take place. That is why the normal procedure consists of an initial block of 13-15 days of one to two-hour periods (daily) of auditory stimulation with the Electronic Ear®, followed by other 10-12-day blocks, generally limited in number given that the goal of the Tomatis® Method is always to lead the individual as rapidly as possible to a state of optimal self-reliance. The first two blocks of the program are spread over three to four weeks, then two to three months go by between the second and the third blocks, then three months between the third and, if needed, fourth block. After numerous trials with other types of music, we have found that the results obtained by using Mozart’s music are amazing, no matter where in the world it is evaluated. In fact, we note that this music is not only very well accepted on every continent but that it also allows listeners to reestablish their own inner equilibrium. To understand this effect upon the sense of human balance, we must recall that music is characterised by rhythm, which touches the body; by harmony, which reaches the emotions; and by melody, which calls upon the intellect. According to the classical ideal, these three parameters should be in balance, which is rarely the case, one or the other often being dominant, and, for this reason, producing a rather unusual musical discourse. In the case of Mozart, it seems that this balance was achieved, which may explain the universal character of his music. Filtering up to around 4000 hertz permits the brain to orient itself toward the acoustic analysis of specific zones; listening to sounds that are even more filtered corresponds to a prenatal experience, which does not, however, mean that the fetus does not hear low-frequency sounds. According to Alfred Tomatis, if the ear is functional so early in fetal development, it is because its role is to energize the developing nervous system. It was to take advantage of this primordial competence of the ear during the prenatal phase that Alfred Tomatis decided to use filtered sound, the latter relieving the ear of its function of sound discrimination. Moreover, given the physiology of the inner ear at the level of the cochlea, high-frequency sounds produce a much greater stimulation of the nervous system than do low-frequency sounds; indeed, the ciliae, or hair cells, that receive sonic stimulation are much more numerous in zones intended for the reception and analysis of high-frequency sounds than in those designed to receive and analyze low-frequency sounds. Moreover, given the physiology of the inner ear, high-frequency sounds produce a much greater stimulation of the nervous system than do low-frequency sounds; indeed, the ciliae, or hair cells, that receive sonic stimulation are much more numerous in zones intended for the reception and analysis of high-frequency sounds than in those designed to receive and analyze low-frequency sounds. The use of the mother’s voice, filtered in the high frequencies, permits us at the same time to relieve the ear of its function of sound discrimination, to recharge the nervous system by stimulating the zones that have the most ciliae, or receptive hair cells in the cochlea, and to reawaken the individual’s acoustic memory of the prenatal period. This memory, whether it carries a positive or negative affective charge, was transmitted by the mother depending upon her psychological state during pregnancy, and was a very reassuring factor simply because it was constantly present. One can observe that most of the time, the utilization of the filtered mother’s voice produces an effect that both soothes and liberates. The Tomatis® Method does not improve hearing in the case of an irreversible lesion; however, whatever the situation may be, it does foster the optimal use of the individual’s listening potential, no matter how weak it may be.